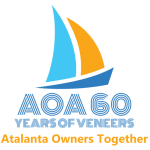 Anyone may browse the website to learn about the yachts and the AOA. You will need to register a user account to take part in the Forum conversations. This is simple and free. In addition you may want to consider joining or renewing membership of the AOA. This gives you full access to our member benefits including access to ALL Bulletins back to 1958, all technical drawings, full boat histories, and our archive of papers, brochures and other useful material. And of course membership provides support to the Association in its work to preserve and promote the Fairey Marine yachts. New members will receive a welcome pack including a copy of the current Bulletin (subject to availability). Membership renewals are due by 31st December for the following year. Anyone joining after September will be deemed a member for that year and the following year.